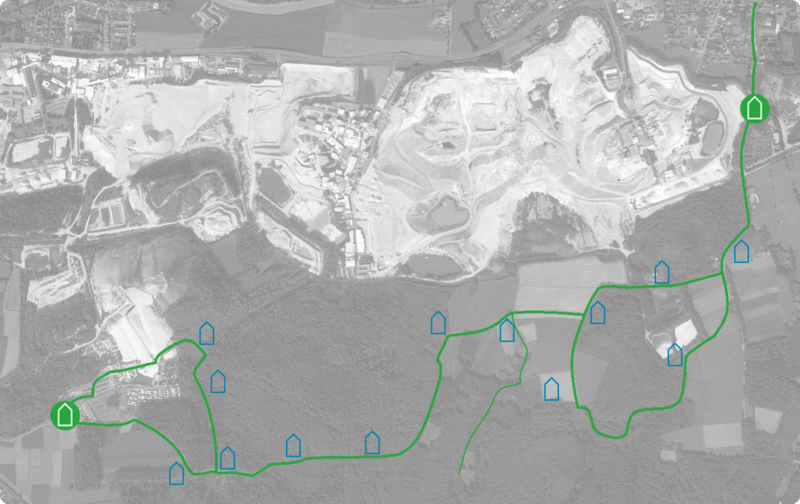 Industrial Trail – GeoPark Kaolinrevier Hirschau – Schnaittenbach r.A. The Industrial Trail has 14 Stations and begins at the foot of Monte Kaolino in Hirschau, although visitors can also set out from Schnaittenbach, since the Trail follows a circular route. Station 8: Yesterday – Today – Tomorrow. The development of the kaolin mines from the earliest times to the present-day. The post-industrial landscape. Environmental protection and sustainability. Station 9: Processing kaolin in the past (the ‘Faberschlemm’) and in the present. Copyright © 2018 – Kaolinrevier Hirschau - Schnaittenbach e.V.